As a child, I won spelling bees. In high school, friends came to me for help with essays. Finally, while working on my MA (philosophy) at York University, I got my first paid editing job. Since then, I have worked as a Guest Editor (Refuge journal), In-house Editor (Diane Abbey-Livingston & Associates, Inc.), Communications Manager (Club Monaco, Inc.), and most recently as a freelancer. For the last 14 years, I’ve helped authors and publishers provide a clear and precise final product, specializing in polishing work by international authors for publication in English-language media. I am skilled in several style guides including the American Psychological Association (APA) Publication Manual, fifth edition and am comfortable working with PowerPoint, QuarkXPress, Word, and Wordperfect in American, British, and Canadian English. 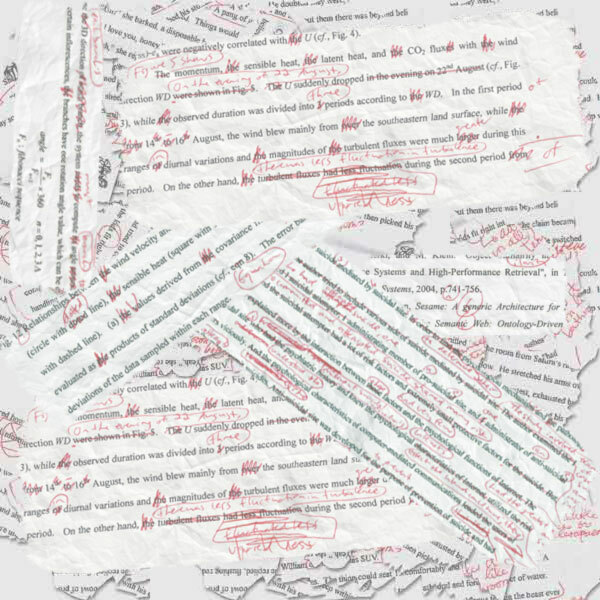 I work hard to preserve an author’s intended tone, while removing or rewording language that obscures the message. Clients appreciate my patience, precision, reliability, creativity … and my rates. Most of my work comes from repeat customers.